By making DevOps a part of your organisation's DNA, your business will better equipped to compete and innovate. A major part of my role involves discussing forward-looking business strategies with senior executives of major institutions. In one such conversation, I visited a major bank’s innovation centre where we talked about how investments into Artificial Intelligence and Blockchain can drive both new revenue models and enable cost savings. The place had a startup feel - an open office, people in jeans and t-shirt brainstorming testing new ideas. We moved on to talk about change and programme delivery: a major part of it like testing, releases and service management had limited automation. I wondered – technology has helped us to create robots for day-to-day life but we still want to produce and test them manually? Many Fortune companies have mastered the art of introducing new products and features with unfailing regularity. Similarly, successful startups, despite the apparent resource crunch, need very little time to launch their products and services; and before you know it, they too have disrupted markets and turned into overnight unicorns. Their secret lies in industrialising innovation. These organisations achieve speed and agility by scaling and automating their production processes. In the age of the customer, and with technology becoming core to businesses rather than being an enabler, organisations need to imbibe the principles of DevOps to achieve similar outcomes. DevOps (development and operations) is a mindset change which enables an organisation to deliver business value and improve net promoter score. Large organisations can realise between $690 million - $1.3 billion by leveraging the automation and time to market benefits of DevOps, according to the State of DevOps Report 2016. Organisational effectiveness: By driving a shared purpose, there is better motivation, retention and collaboration between teams. Product quality: By optimising and reducing incident rates and optimising key metrics like - MTTR (Mean Time To Repair), MTBF (Mean Time Between Failures) and QoS (Quality of Service). Release velocity: Through improved deployment frequency, cycle time and success rate. Operational efficiency: By reducing the cost of change, delayed transactions and full-time resource per server. 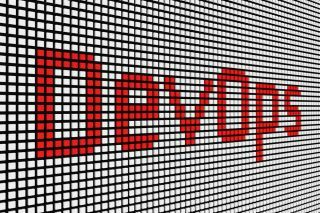 DevOps uses a combination of tools and practices to achieve this level of efficacy, binding developers and IT operations that often blur the distinction between the two IT tribes. It is this capability that allows business hulksand unicorns to churn out products at an enviable pace. Every organisation – large, medium and small – needs to take a leaf out of the playbook of these modern organisations, where DevOps has proven its efficacy, and consider adopting DevOps. DevOps plays a critical role in changing an organisation’s engine from slow moving to agile by using a sharper approach to the software development lifecycle. This is done by focusing on people, process, technology, and insights. In the age of the customer and with technology becoming core to business rather than being an enabler, organizations need to imbibe the principles of DevOps to achieve similar outcomes. Every organization, large, medium and small, needs to take a leaf out of the playbook of these modern organizations - where DevOps has proven its efficacy – and consider adopting DevOps. DevOps requires a mindset change for organisations to reap the full benefits. This can be done by establishing a new operating model which ensures full symbiosis between IT service, IT delivery and business. It’s important to develop what is called “T-shaped people” who have several skills and can freely collaborate with teams across the organisation. For most businesses, this calls for re-training and re-skilling, or when possible, introducing new blood into the network. While this is desirable, transformation along these lines may not always be possible at the pace required by the business. In such an eventuality, the alternative is to engage with the ecosystem and leverage the required skillsets. A large insurance company in the UK have set up a digital academy bringing together universities, partners and existing workforce to transform their 2,000 IT staff from siloed skillset to full stack capabilities. The days when product delivery lifecycles stretched over 18 - 24 months are over. Today, organisations need to deliver new products, upgrades, features and fixes quarterly, and in some cases weekly. DevOps has made it possible to shrink release cycles to weeks and days but large organisations have governance, compliance and security requirements that can slow down and defeat agile DevOps. There are several alternative approaches to surmounting big-organisation pressures. These include establishing processes which drive portfolio excellence by moving faster from ideation to prototyping and delivering; applying compliance and governance objectives based on the type of development; using automation for testing, validation and deploying models that bring siloed parts of the organisation together - so that development can get out of the gate faster. Progress is a double-edged sword. Organisations keen on leveraging DevOps must bring in new technologies such as automation and the cloud. They must also stay on the path to continuous change while protecting legacy infrastructure, processes and IP. The challenge is to run with a hybrid approach that maintains multi-speed architecture and drives end-to-end collaboration between internal teams, partners and crowd sourcing platforms. There is a need for tools such as an Integrated Agile DevOps platform, which brings together applications, infrastructure and crowd sourcing solutions – such as Topcoder that leverages a global community of highly competitive software engineers to drive business agility. Can your organisation pull together assets like these in a hybrid environment so that products get into the hands of users quickly? A global leader in consumer goods established “Everything as a Code” concept and made their entire landscape including technologies like SAP configurable across 8 different regions. By automating development and operation chains, organisations can simplify, federate and understand which data is important. This, in turn, defines how they capture, measure and drive decisions, from metrics that have a direct correlation to their business goals. The more evolved organisations add cognitive platforms such as Wipro Holmes to delivery transparency while staying in complete control of operations. In reality, there is nothing called a DevOps team. DevOps is a new way to operate, reorganise businesses and scale up innovation. DevOps needs to be made part of organisation’s DNA. And this should be done by erasing the line between development and operations. If organisations are looking to transform to act faster and become more efficient, DevOps should be an essential part of the business. Focusing on people, process, technology and insights will bind developers together with IT operations to help businesses reach the quick time to market capabilities that business hulks like Amazon and Tesla have mastered. As the sharper approach to the software development lifecycle, organisations can use DevOps to keep up with the hulks and the unicorns of today’s market and industrialise their innovation. There are several alternative approaches to surmount big-organization pressures. These include establishing processes which drive portfolio excellence by moving faster from ideation to prototyping and delivering, applying compliance and governance objectives based on the type of development, using automation for testing and validation, and deploying models that bring siloed parts of the organization together so that development can get out of the gate faster. DevOps is a new way to operate, reorganize businesses and scale up innovation. DevOps needs to be made part an organization’s DNA.